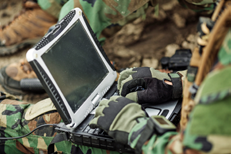 New technologies emerge in the commercial arena and are often deemed as being suitable for military use. 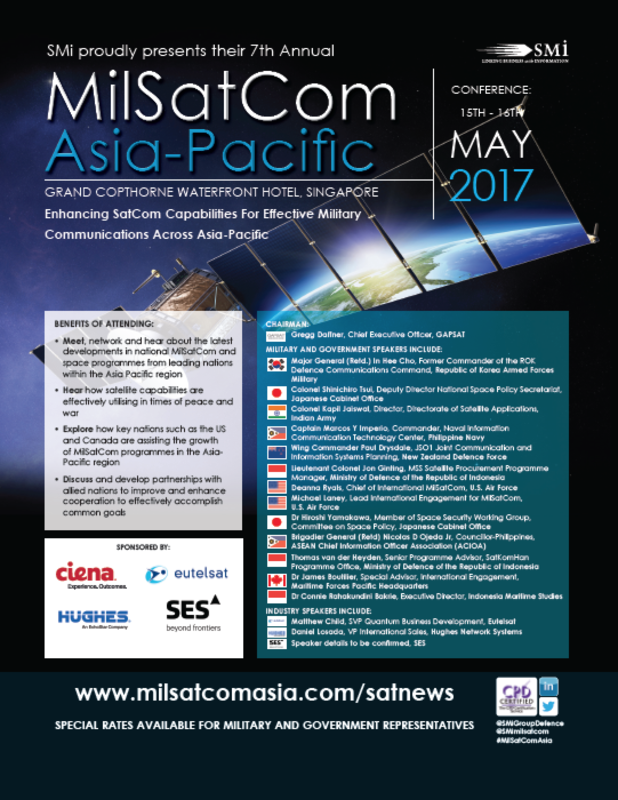 However, designing satellite service that works equally well for commercial and military use is challenging. The military has specific requirements which often differ greatly from commercial applications in regard to terminals, data rate transmissions and geography. Satellite communications have to move reliably and efficiently to support these missions. Not only is X-band reserved for military use, but its natural characteristics make it ideal for COTM situations. High Throughput Satellites (HTS) are gaining notice in the commercial market, but are also targeting military applications as well. HTS, by design, provide increased data rates and lower cost when delivered as a managed service. These services are most often designed around commercial applications that provide the largest user base. Government/military users often have unique support requirements that are best handled by custom networks. X-band spot beams are wide and typically cover more than 1,000 miles, encapsulating entire countries and areas of operations. This means that the COTM user typically won’t travel outside of an X-band spot beam. Service is uninterrupted as the mission moves. X-band spot beams are also placed over areas of interest to military users as X-band is reserved for military use. Although X-band spot beams are wide, it does not mean that high data rate cannot be supported. As an example, XTAR has supported missions on both XTAR-LANT and XTAR-EUR that transmitted data rates in excess of 10 Mbps from a COTM remote terminal of 0.4 meters. Another advantage of wider spot beams is that the military user has a wider choice of locations to use as a hub/gateway. Often, an existing gateway facility or teleport may be used, thereby saving the government money in hub Earth station and platform as well as terrestrial backhaul costs. Today, the latest HTS have small beams that are, at most, a few hundred miles wide. This presents two immediate issues. First, COTM users are forced to have bandwidth in many different areas to support movement between beams. Second, HTS require users to have specialized equipment with beam switching technology which will transition communications from one spot beam to the next as the user is moving. Both of these issues translate into additional costs. Finally, one of the basic principles of HTS is frequency reuse. Frequency reuse leads to multiple gateway earth stations for accessing large areas of operations. Users will be required to install and maintain hub equipment in multiple gateway Earth stations for their network, rather than at only one location. In addition, the gateway Earth stations and the end-user location must be connected via a terrestrial network, again, leading to further expense. X-band does not require the user to have a big terrestrial infrastructure and one can use the teleport of one’s choosing. Satellite COTM must be reliable in every condition and as conditions change. Due to its frequency range, X-band fares better in challenging weather situations. As a general rule of thumb, frequencies above 10 GHz are susceptible to atmospheric attenuation, and frequencies below 10 GHz are relatively immune to atmospheric attenuation. X-band, with a transmit frequency range of 7.9 - 8.4 GHz and a receive frequency range of 7.25 - 7.75 GHz, has a frequency range less than 10 GHz. Whether it is humid conditions by the sea, or sand storms in the desert, X-band’s position on the spectrum make it virtually weatherproof. In addition to weather advantages, users on X-band have a smaller chance of adjacent satellite interference. This is due to X-band satellite spacing of 4 degrees. Other bands have half the amount of spacing between their orbital slots and are at greater risk for this costly and dangerous occurrence. Commercial satellites including HTS most often use Ku- and Ka-band frequencies, which are higher than 10 GHz and therefore susceptible to atmospheric attenuation. These frequency bands are not well suited for operations in tropical areas. In addition, these bands are subject to interference levels not found in military frequency satellite systems. Combining naturally weatherproof characteristics with greater satellite spacing gives COTM users the reliability they need. In fact, many X-band users experience exceptionally high link availability (99.9 percent), ideal for COTM situations. Today’s COTM user must be able to easily and efficiently transmit and receive voice, data, imagery and HD video. X-band is an ideal frequency band for transmitting high data rates efficiently with small (sub-meter) antennas. As mentioned previously, X-band satellites are typically spaced 4 degrees or greater apart. This greater spacing allows X-band satellites to operate at higher uplink and downlink EIRP/Power densities than commercial satellites with typical 2 spacing. Higher allowable EIRP/Power densities at X-band allow small antennas to transmit without the need to use spread spectrum techniques that greatly increase bandwidth requirements. Efficiencies will vary depending on data rates transmitted, terminals utilized, and coverage areas, but as an example, XTAR has provide service to a 0.4 m transmitting a 10 Mbps carrier at an efficiency of 1.05 bits/Hz over an entire area of interest. These are efficiencies that HTS satellites would struggle to achieve. This difference in efficiencies is vital, especially when considering the HD video and imagery requirements required by today’s COTM user. Increased efficiency translates into lower bandwidth costs. X-band is designated solely for government and military use. Its features and applications are all designed to accommodate one type of user. This is important for a variety of reasons. First, suppliers of X-band understand the unique needs of their customer and have designed their services to accommodate government and military users by shifting beams to areas of interest, adjusting transponder settings to best serve user applications, etc. 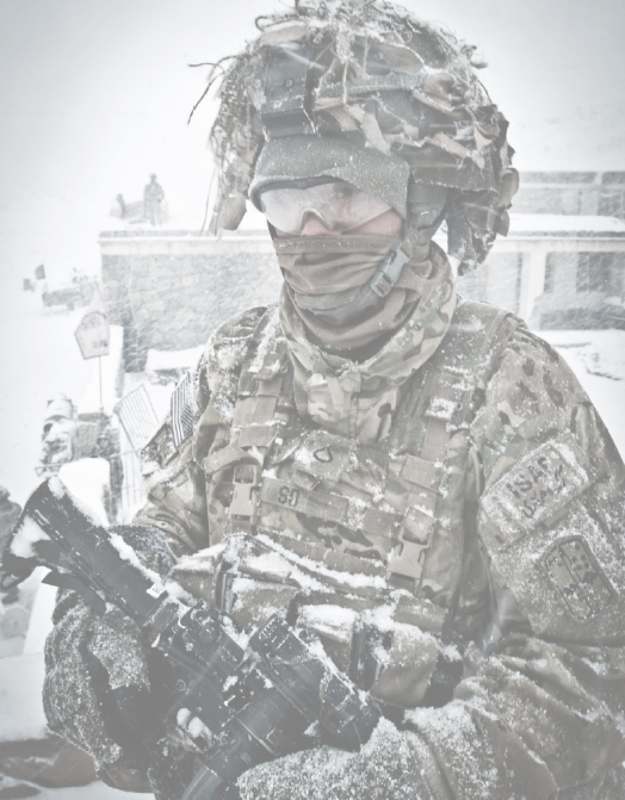 Second, as the band only serves one customer, a military user will not get kicked off by a commercial user, or lose communications to a higher priority user (with the exception of use on WGS). 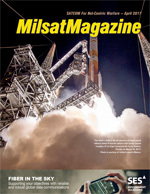 Leased access is guaranteed in order to support the mission. Finally, X-band has fewer users to cause accidental interference and these users are better trained. HTS is gaining a lot of notice and has solid commercial applications, but works best when customers purchase HTS as a service, with equipment and service level agreements included. Its limitations in military use are accompanied by the purchasing challenges—procurement offices prefer not to buy in this manner. In addition, managed services designed for multiple commercial users provide service level agreements for data rates and availability that may not be suitable for a military mission. Custom networks allow the military to design a network around their unique requirements. In conclusion, designing satellite service that works equally well for commercial and military use is challenging. X-band has been around for years and there is a reason for that—the company's advantages closely match the needs of today’s military and government user —in COTM situations, X-band especially shines.